TOKAJI.com .::. 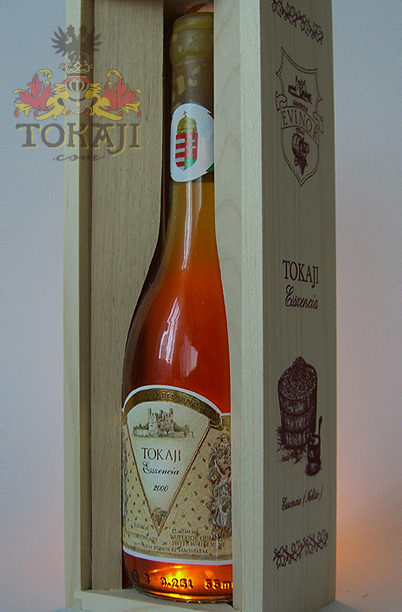 Buy Tokaji Essencia : 2008 Tokaji Essencia "Kincsem"
You are here: Home BUY TOKAJI Buy Tokaji Essencia 2008 Tokaji Essencia "Kincsem"
Sándor Simkó´s flagship from Tolcsva´s first class rated Kincsem vineyard, which is considered amongst the foremost vineyards of Hegyalja. A pure 100% Harslevelü Essencia. Comes in a small 0,25L bottle with a nice wood box.